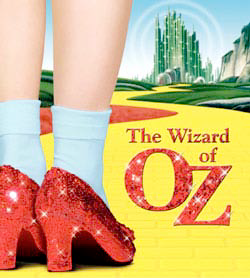 It is with great pleasure that I announce that the 2012 whole school production will be the much loved Wizard of Oz. This production is scheduled to take place in April on Thursday the 26th, Friday 27th and Saturday 28th at the Wangaratta Performing Arts Centre. The whole school production is open to all students and I encourage the younger students who love performing to sign up. The students can participate in a number of ways either by acting on stage, constructing the set, working back stage, performing as a dancer or playing in the orchestra. All information on how to sign up is conveyed through the morning bulletin. Students are currently going through the audition process with parts announced in the next newsletter.